Add some Cheshire glamour to your event with the ultimate party band, iPop. Bringing you high end, cool, stylish entertainment, iPop is the best contemporary party band in the UK. 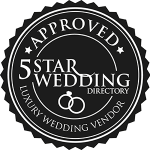 We are regulars at celebrity weddings and functions throughout the UK and internationally. We were recently the band of choice for England and Liverpool football captain Steven Gerrard’s Testimonial Gala Dinner. Booking iPop band will ensure that your event in Cheshire will be remembered forever. Enjoy all that is best from today’s music charts, played by some of the finest musicians to ever perform at an event in Cheshire. Your wedding or party entertainment in Cheshire can be individually tailored to suit your style and budget. Add extra vocalist, brass, percussion and more… the choice is yours! You can even select your favourite songs from their varied repertoire to create your perfect playlist. IPOP… POSSIBLY THE BEST WEDDING BAND AVAILABLE!